As iOS developers, we’re very aware that humans love connectivity. Obviously, we love to communicate with each other using wireless devices. More recently, we’ve come expect that we can communicate with what once were considered standalone, ordinary devices. We’ve come to love, even expect, that some of those wireless devices can gather and analyze data about ourselves (usually “wearables”). So many devices have become intrinsic parts of our lives that we’ve coined a now commonly-used phrase, the “Internet of Things” or “IoT.” There are now billions of wireless, communicable devices on the planet. In this tutorial, we’re going to focus on just one segment of the IoT: Bluetooth®. Finally, walk you through the development of an iOS app in Swift 4 that monitors a person’s heart rate via Core Bluetooth via a Bluetooth® device. Note: Please follow and read the hyperlinks I’ve included throughout the article. 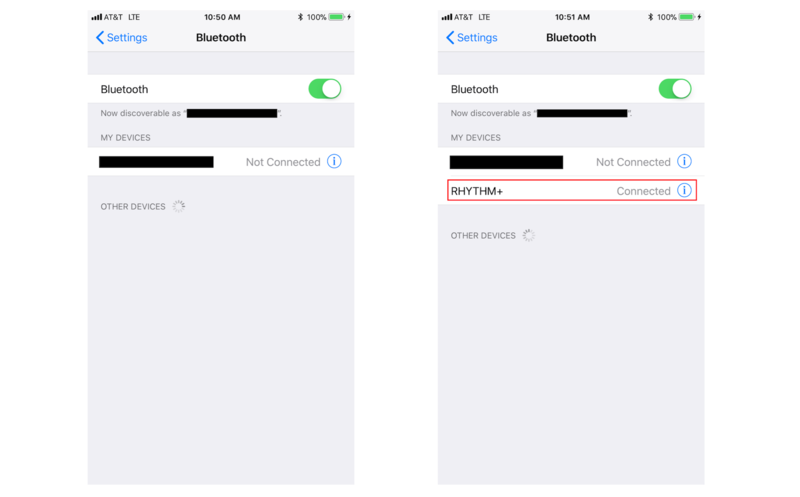 This is important information required for developers to fully understand how Bluetooth® works and how Apple provides support for Bluetooth®. A discussion of developing software for the whole IoT would be impossible in one article, but running the numbers regarding all these wireless devices is illuminating — actually, quite mind boggling. Connected stuff is everywhere and the predicted growth of these little buggers is phenomenal. If you take the thingies we’re talking about today, in the “short-range segment,” using technologies like Bluetooth® and WiFi, and add in the “wide-area category,” using technologies like cellular (e.g., CDMA), you’ll see ~12.5 billion devices in 2014 rapidly growing to a projected ~30 billion in 2022. Bluetooth® is a standardized specification for a short distance wireless communications technology. The Bluetooth Special Interest Group (Bluetooth SIG) manages and protects the development, evolution, and intellectual property behind this short range wireless technology. The SIG ensures that manufacturers, developers, and sellers of Bluetooth®-based hardware and software meet the standardized specification. According to the Bluetooth SIG, “Nearly 4 billion devices will ship this year using Bluetooth to connect. To phones, to tablets, to PCs, or to each other.”. Ellisys, a company deeply invested in short-range communications technology agrees, estimating that “nearly 4 billion new Bluetooth devices [are] forecasted to ship in 2018.”. Remember, that’s 4 billion new Bluetooth® devices shipping in this year alone. In terms of trends, Statista, an aggregator of “market and consumer data,” claims that the worldwide installed base of Bluetooth® devices has gone from 3.5 billion in 2012 to an estimated 10 billion in 2018. Dogtown Media, LLC, an “IoT Bluetooth Apps” boutique specializing in iOS development, asserts that “According to experts at the McKinsey Global Institute, the Internet of Things will have an economic impact of over $6 trillion globally within the next nine years.” So what does this mean to iOS developers like you and I? Dogtown says that “The coming years promise to be exciting, productive, and potentially very profitable for forward-thinking startups and entrepreneurs.” Translation: Get forward-thinking and entrepreneurial, learn about app development using Bluetooth® because your next job or contract has a good chance of requiring skills in this rapidly-expanding market. I have no affiliation with Dogtown Media, LLC. During research for this article, I found the company’s website, saw that they specialize in iOS Bluetooth® development. I am an “Adopter”-level member of the Bluetooth SIG. Since Bluetooth’s® debut, I’ve often seen developers find some references, plunge right into app development involving wireless devices, and submit Bluetooth® apps to the Apple App Store. Not so fast, there, partner. Don’t be stupid and tempt fate. The main point is that all of us should strive for the highest level of integrity and honesty, and to give credit where credit is due, and to promote adherence to standards so interoperability is the norm, not the exception. Thousands of people have contributed thousands of hours of work and millions of dollars in expenses in developing the Bluetooth® Standard and several patents to create an obviously useful set of intellectual assets. Membership in the SIG includes serious benefits. You get free access to educational kits, training videos, webinars, developer forums, developer support services, white papers, tools for product testing, and help ensuring that your app meets international regulatory requirements (mainly regarding radio frequency emissions). Once you develop an app, qualify it with the SIG, and get it approved for inclusion in the Apple App Store, your product also gets listed publicly by the SIG, and you get even more exposure. And please don’t worry about the $100 bucks thing. You’re probably more likely to make a good salary or hourly rate working for a company that’s handling all those Bluetooth® compliance details. Notice the mention of “low energy devices.” We’re not dealing with classic Bluetooth® devices, i.e., wireless speakers, when using Core Bluetooth. Communication with such devices can drain battery power pretty quickly. Core Bluetooth is an API for “Bluetooth Low Energy” (BLE), also known as “Bluetooth 4.0.” BLE uses much less power because it’s designed to communicate small amounts of data. A great example of a BLE device is a heart rate monitor (HRM). It sends just a few bytes of data approximately every second. That’s why people can go for a one-hour run wearing an HRM and carrying their iPhone, record their heart rate for the duration of the run, and not see a huge drain in battery power. Notice that the number of acronyms like BLE is increasing as this article proceeds. You’ll have to learn a new vocabulary so we can discuss Core Bluetooth together and coherently. Think about the BLE protocol in terms of the client/server and consumer/producer model. The peripheral is a piece of hardware/software like an HRM. Most HRM devices collect and/or calculate data like heart beats per minute, the HRM’s battery power level, and something called the “RR-Interval.” The device transmits this data to another entity or entities that want(s) this information. A peripheral is a server and producer. Some of the more popular HRMs on the market are the Wahoo TICKR, Polar H7, and Scosche Rhythm+. I’ll show how important standards like BLE are by writing Swift 4 code that connects to all three of these devices. The central is a piece of hardware/software like an iPhone, iPad, MacBook, iMac, etc. These devices can host apps that scan for Bluetooth® peripherals like HRMs. A central is a client and consumer. They connect to the HRM so they can consume the data being pumped out by the peripheral, like heart beats per minute, battery power level, and the “RR-Interval.” The central device receives this data, possibly manipulates that data, i.e., performing value-added calculations on the the data, or just presents the data via a user interface, and/or stores the data for future analysis, presentation, and/or aggregation and data analysis (like statistical analysis that requires enough data to determine significant and meaningful trends). Peripherals like an HRM wouldn’t be much good if your iPhone or iPad couldn’t find them and connect to them. So they continuously and wirelessly broadcast little snippets (packets) of data saying something like, “Hey, I’m a Scosche Rhythm+ heart rate monitor; I offer features like my wearer’s heart rate in beats per minute; I offer information like my battery’s charge level.” When a central interested in heart rate scans for and finds this peripheral, it connects to it and the peripheral stops advertising. I’ll show you how to scan for peripherals and connect to them in the Swift 4 code later in this tutorial. A service may not be what you’d probably expect it to be. A service describes some primary feature or function provided by the peripheral. But instead of being a concrete measurement like heart beats per minute, it is a category that describes what heart-related measurements are available from the peripheral. To concretely define a Bluetooth® “service,” we should look at the Bluetooth SIG’s list of “GATT Services”, where GATT stands for “Generic Attributes”. Scroll down through the list of services until you find “Heart Rate” in the Name column. Note that the corresponding Uniform Type Identifier is “org.bluetooth.service.heart_rate” and the Assigned Number is 0x180D. Note that we’ll use the value 0x180D in the code below. Click on “Heart Rate”. You’ll land on a page that says Name: Heart Rate in big bold letters. Notice that the Summary states, “The HEART RATE Service exposes heart rate and other data related to a heart rate sensor intended for fitness applications.” Scroll down through the page and notice that the Heart Rate service itself doesn’t provide the actual heart rate in beats per minute. The service is a collection of other pieces of data called characteristics. Finally, you’ll get to a characteristic that provides the meat: heart beats per minute. Let’s continue using the HRM example. Please return to the page that says Name: Heart Rate in big bold letters. Scroll down until you see Service Characteristics. That’s a big table with a lot of meta data (information about data). Please look for Heart Rate Measurement and then click on org.bluetooth.characteristic.heart_rate_measurement and review. I’ll explain this page soon. When it’s time for you to work on an app that requires communication with a Bluetooth® peripheral using Core Bluetooth, you should first turn to the Bluetooth SIG’s website. Let’s go through the process I once went through when building an app that did all sorts of funky-town jammin’ with HRMs. Review the section on GATT Specifications and then find your peripheral’s services under GATT Services. In the HRM example covered herein, first find the term “Heart Rate” (also a hyperlink) in the Name column on the GATT Services page. Click on the “Heart Rate” link and review the whole page. Note the Assigned Number (0x180D) and then scroll down to the Service Characteristics table. Review the table carefully and find the characteristics of interest. In this example, read the Heart Rate Measurement and Body Sensor Location sections and then click on their respective detail links, org.bluetooth.characteristic.heart_rate_measurement and org.bluetooth.characteristic.body_sensor_location. On the Heart Rate Measurement page, make a note of the Assigned Number (0x2A37), and then review all the gory details on how to decipher the Bluetooth®-encoded data structure that will be sent to the proposed HRM app. Code will have to be written to turn the Bluetooth®-encoded data into human-readable format. Jump back to the Body Sensor Location page, make a note of the Assigned Number (0x2A38), and then review the protocol for how to decipher the Bluetooth®-encoded data structure that will be sent to the proposed HRM app. Code will have to be written to turn the Bluetooth®-encoded data into human-readable format. I’ll give you more details as we move forward in this tutorial and especially when I show you my working app code for communicating with a BLE HRM. You can get much more detailed information about programming with services and characteristics if you join the Bluetooth SIG. In this discussion, I’m making the assumption that you understand the basics of iOS app development, including the Swift programming language and an Xcode Single View App template. The user interface (UI), including Auto Layout, for the test app, whose code is shown below, is trivial. I’m going to describe the code in series of steps — steps that are also comments in my code shown below. So as you read the steps in this section, please refer to those same steps in the code below. The entire process is basically linear. Just remember that some of the steps represent callbacks — delegate methods being called. In a production app, I would have split the Core Bluetooth components out into protocols or classes — i.e., separated core functionality from the UI. But the purpose of this code is to show you how Core Bluetooth works with the least amount of distractions. My rubric is simple and face value. You’ll see only the essentials on one page. The UI for the demo app I developed for this article is also bare-bones simple. When the app is started, it begins scanning for an HRM. This scanning is indicated by the UIActivityIndicatorView appearing on screen and spinning. A square UIView is colored red to indicate that no HRM has been connected. Once an HRM is found and initially connected, the UIActivityIndicatorView stops spinning and is hidden, and the red UIView turns green. Once the HRM is fully connected and interrogated, I display the HRM’s retail device name and the intended location on the body on which the wearer has it placed. I then start reading and displaying the wearer’s heart beats per minute approximately every second. Most HRMs send a beats per minute value once per second. I’ve artificially contrived a pulsing animation of the heart rate number to make the app look more engaging, but that’s my real heart rate your seeing. When the HRM disconnects, I blank out all the informational text, turn the square UIView red, display the UIActivityIndicatorView and start it spinning, and start scanning for an HRM again. The Rhythm+ uses infrared light to “look” at my veins to determine heart rate. The TICKR and H7 use electrodes to detect the electrical impulses telling my heart to beat. You can find the full source code in the next section. Here I walk you through the implementation. Step 0.00: I must include the CoreBluetooth framework. Step 0.0: Specify GATT Assigned Numbers as constants. I do so to make the Bluetooth® specification’s identifiers more readable and maintainable, for the “Heart Rate” service, its “Heart Rate Measurement” characteristic, and its “Body Sensor Location” characteristic. 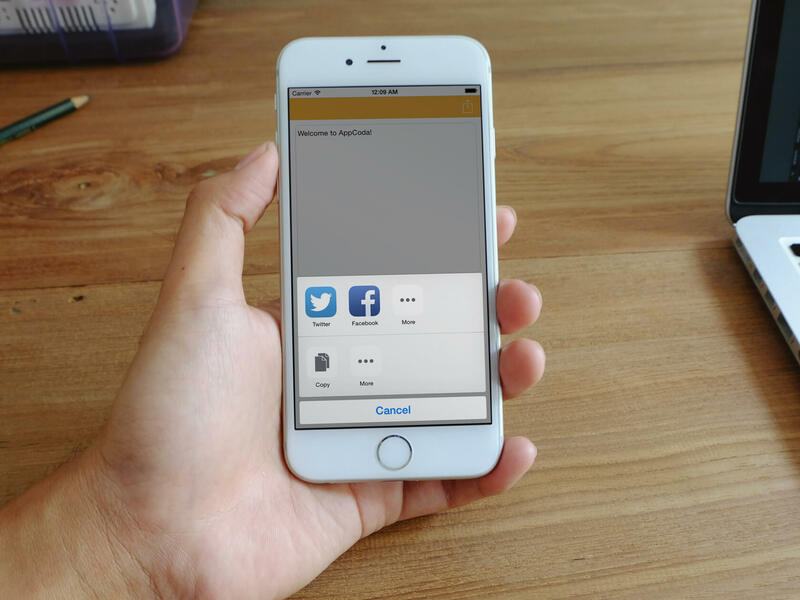 Step 0.1: Make the HeartRateMonitorViewController a subclass of UIViewController. Make HeartRateMonitorViewController conform to the CBCentralManagerDelegate and CBPeripheralDelegate protocols. I’m using protocols and the delegation design pattern, as described in my AppCoda articles here and here, respectively. We’ll implement methods from both protocols. We’ll call some Core Bluetooth methods and some methods will be called by Core Bluetooth for us in response to our own invocations. 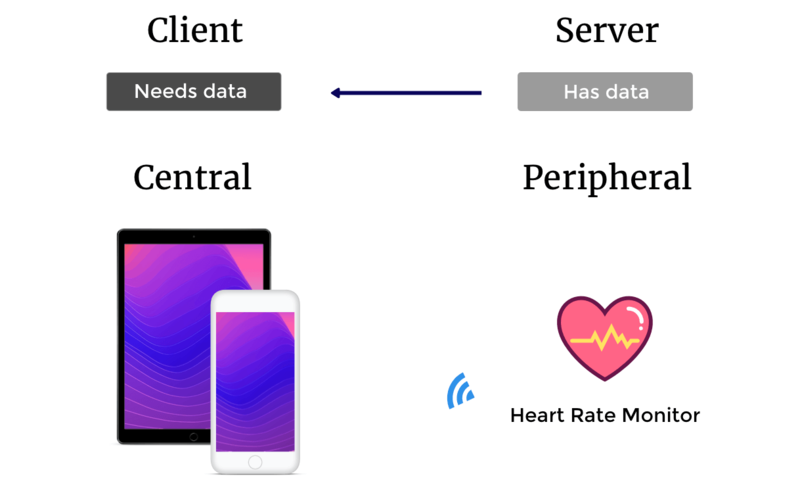 Step 0.2: We define instance variables in the HeartRateMonitorViewController class representing the CBCentralManager and CBPeripheral classes so they persist for the duration of the app’s life. Step 1: We create a concurrent background queue for the central. I want Core Bluetooth activities to occur in the background. I want the UI to remain responsive. In a more sophisticated app — hypothetically speaking — an HRM might be running for hours, collecting heart rate data for the user. 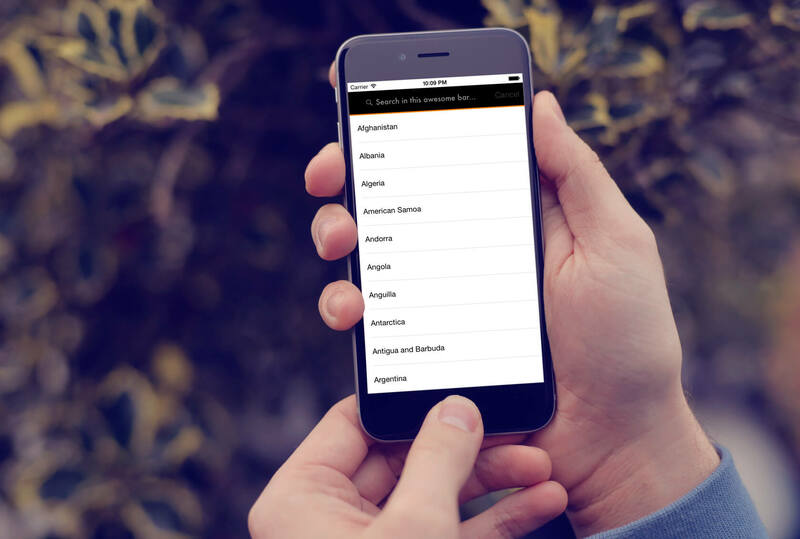 The user may want to employ other app features, for example, to configure app settings or, for example, if the user were taking a run and wanted to use Core Location to track the route of their run. So a user could be collecting and/or viewing their geographic location while heart rate data is being collected and displayed. Step 2: Create central to scan for, connect to, manage, and collect data from peripherals. This is an essential step. Core Bluetooth will not function without a central. Also essential: Since HeartRateMonitorViewController adopts the CBCentralManagerDelegate, we set the centralManager delegate property to HeartRateMonitorViewController (self). We also specify the DispatchQueue for the central. Step 3.1: This centralManagerDidUpdateState method is called based on the device’s Bluetooth® state. Ideally, we should be prepared for a scenario in which the user inadvertently (or purposefully) turns off Bluetooth® in the Settings app. We can only scan for peripherals if Bluetooth® is in the .poweredOn state. … we could listen for all Bluetooth® devices advertising and within range. This could be useful in some type of Bluetooth® utility app. Step 4.1: Discover what peripheral devices of interest (HRMs) that are available for which this app can connect. This didDiscover method tells us is that, while scanning, the central has found HRMs that are advertising. Step 4.2: We must store a reference to the just-discovered peripheral in a class instance variable that will persist. If we were to use solely a local variable, we’d be out of luck. Step 4.3: Since HeartRateMonitorViewController adopts the CBPeripheralDelegate protocol, the peripheralHeartRateMonitor object must set its delegate property to HeartRateMonitorViewController (self). Step 5: We tell the central to stop scanning in didDiscover to preserve battery life. We can re-scan if a connected HRM/peripheral gets disconnected. Step 6: While still in didDiscover, we connect to the discovered peripheral of interest, an HRM. Step 7: This didConnect method is only “Invoked when a connection is successfully created with a peripheral.” Make note of that word “successfully.” If you discover a peripheral but can’t connect, you’ve got some debugging to do. Note that I update the UI to show what peripheral I’ve connected to and to indicate I’ve stopped scanning, among other things. Step 8: While still in method didConnect, we look for services of interest on the peripheral. Specifically, we want to find the Heart Rate service (0x180D). Step 9: Since the didDiscoverServices method got called, that means that the “Heart Rate” service was found on the peripheral to which we connected. Remember that we have to look for characteristics of interest. Here, I cycle through all of the Heart Rate service’s characteristics and pick the ones I want a bit later. If you go to the “Heart Rate” service page on the Bluetooth SIG’s website, scroll down to the section labelled Service Characteristics. Review the three available characteristics. Step 10: This didDiscoverCharacteristicsFor service method confirms we’ve discovered all characteristics within the service of interest. Step 11: First, I subscribe to the single notification — a “read” — for the Body Sensor Location characteristic of interest. Go to the “Heart Rate” service’s page and notice that this characteristic is marked “Read Mandatory.” Calling peripheral.readValue will cause peripheral:didUpdateValueForCharacteristic:error: to get called a bit later so I can decipher this characteristic for human consumption. Second, I subscribe to regular notifications — a “notify” — for the Heart Rate Measurement characteristic of interest. Go to the “Heart Rate” service’s page and notice that this characteristic is marked “Notify Mandatory.” Calling peripheral.setNotifyValue will cause peripheral:didUpdateValueForCharacteristic:error: to get called a bit later, and about every second so I can decipher this characteristic for human consumption. Step 12: Since I subscribed to read the characteristic value for Body Sensor Location (0x2A38) and subscribed to regular notifications for the Heart Rate Measurement (0x2A37) characteristic, then I’ll get those two binary values if they post once or update regularly, respectively. Step 13: Decode the BLE Heart Rate Measurement data into human readable format. Go to the GATT specification page for this characteristic. The first byte is meta data (Flags) about the rest of the data. The specs tell me to look at the first byte’s least significant bit, the Heart Rate Value Format bit. If it’s 0 (zero), heart beats per minute is UINT8 in the second byte. I’ve never met an HRM that used anything other than the second byte, and all three HRMs I demo here are no exception. That’s why I ignored the use case where the Heart Rate Value Format bit is 1 (one). I’ve seen all sort of implementations proposed, but have never been able to test those implementations. I don’t publish anything I can’t reproduce myself. Step 14: Decode the BLE Body Sensor Location data into human readable format. Go to the GATT specification page for this characteristic. This one’s easy. A value of 1, 2, 3, 4, 5, 6, or 7 is stored in 8 bits. The text string equivalent of each of these values is shown for decoding purposes. Step 16: Start scanning for a peripheral advertising the Heart Rate service (0x180D). I hope you’ve enjoyed this tutorial. Buy or borrow a BLE device and use my code with it or write your own. Follow all the hyperlinks I’ve provided in the article and read them. You should definitely get an overview of Bluetooth® by reviewing the Bluetooth SIG’s website and Apple’s Core Bluetooth framework (see also here) documentation. Thanks for tuning in. Remember to enjoy your work. Don’t forget that having Bluetooth® experience on your resume will be a big plus for your career. For reference, you can check out the full source code on GitHub.